Thorex.net is optimized to work together with Bitcoiin B2G, B2G Wallet, and Dragon Mining Technology. HONG KONG, CHINA, April 9, 2018 /EINPresswire.com/ -- Thorex.net (www.thorex.net) announces its easy new on-boarding process, as part of the roll-out of the new Thorex.net asset-trading platform. Focusing on cryptocurrencies, Thorex.net provides easy account set-up, efficient trading and a secure link to the Bitcoiin B2G crypto ecosystem. Easy On-Boarding: Under Thorex.net’s new sign-up process, a trader need only go to www.thorex.net, click on “Open an account,” complete the form fields, hit “Submit,” then activate the account. After verification, a user can fund an account with Bitcoiin B2G, cash, original bitcoin, or ETH. The process should only take a few minutes. Security is given; it is not for sale. Thorex.net uses industry-standard two-factor authentication, and a case-sensitive, user-specified confidential password. That means the user gets access to a safe, anonymous, efficient trading platform, without lengthy sign-up delays. Efficient Trading: Thorex.net implements instant transfers from Bitcoiin B2G, or other cryptocurrencies held in Thorex.net wallets, to fiat currencies. The list of supported fiat currencies includes US Dollars ($), Euros (€), and UK pounds sterling (£). And Thorex.net accepts funds in B2G, BTC, and ETHs. Thorex.net trades any and all of those cryptocurrencies for USD, EUR and GBP. In real time, instantly. For an industry-standard fee of 0.5% per transaction. Secure Link to Bitcoiin B2G: Thorex.net, along with B2G Wallet, is part of the Bitcoiin B2G ecosystem. All three websites are optimized to work together. After purchasing Bitcoiin B2G on www.bitcoiin.com, a trader can transfer cryptocoin to B2G Wallet, then click again to fund a trader’s account at Thorex.net. This gives traders a quick on-boarding process, safe, secure and efficient. Then the trading can begin. 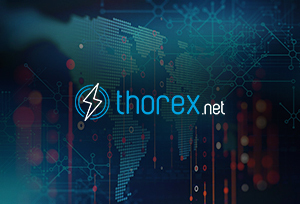 A Global Solution: Thorex.net offers global autonomy, anonymity and security, allowing investors, buyers, sellers and traders across the globe a fully-functional cryptocurrency ecosystem. Thorex.net is optimized to work together with Bitcoiin B2G, B2G Wallet, and Dragon Mining Technology. A Unique Opportunity: Cryptocurrency enthusiasts, depositors and adventurers find opportunity in buying, selling and trade Bitcoiin B2G cryptocoins on Thores.net.